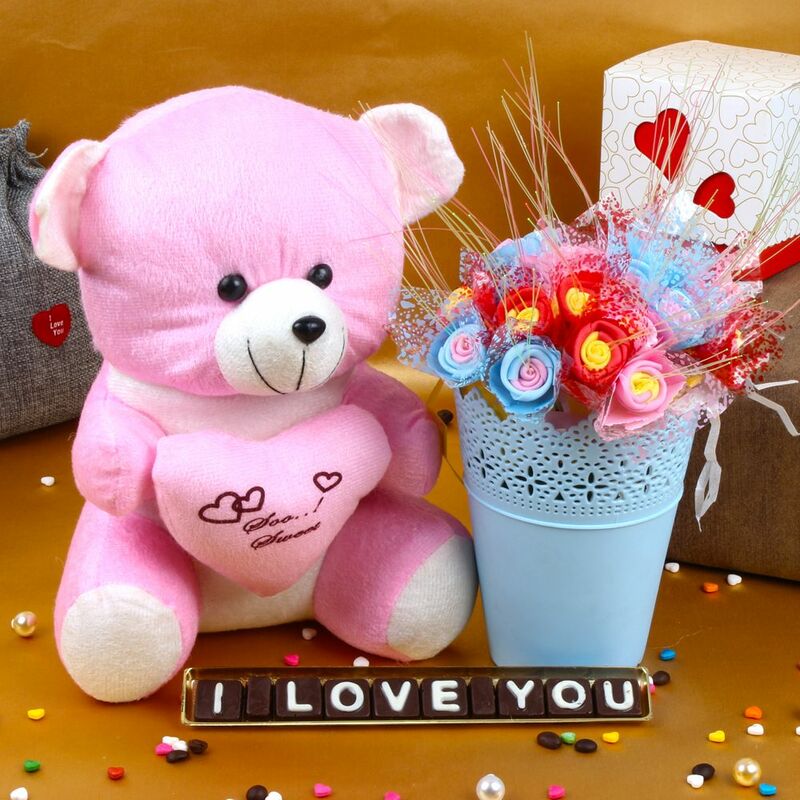 Product Consists : Teddy Bear Holding a Heart (Approx Size : 10.5 Inch), I Love You Icing Home Made Chocolates Box along with 20 Artificial Decorative Colorful Roses arranged in a Basket. 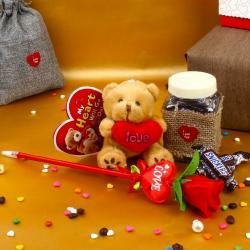 If you are hesitated to say three magical words to your crush, then this hamper definitely help you out. Rose is called as king of flower and symbol of Love, here we presenting artificial roses to represent your everlasting love towards of your love one. 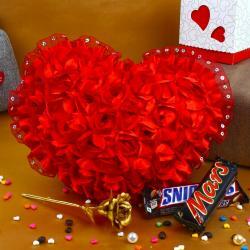 Here we present I Love You Icing Home Made Chocolates to pass your love message to your love one. Also includes a very cute teddy bear. They will get fond of your love with this bear. 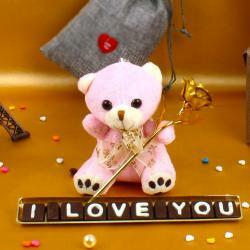 Spell magical heartfelt love on your beloved with the hearts teddy carries on its heart. It is very hard to resist this gift combo. So, go ahead and buy this now. 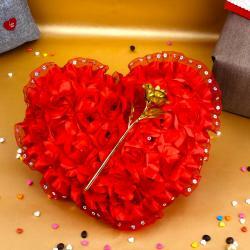 Product Includes: Teddy Bear Holding a Heart (Approx Size: 10.5 Inch), I Love You Icing Home Made Chocolates Box along with 20 Artificial Decorative Colorful Roses arranged in a Basket.